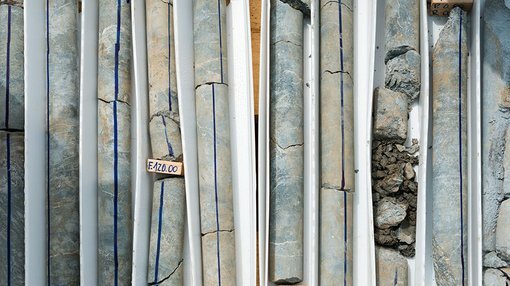 Stonewall Resources (ASX:SWJ) has announced a third open-cut discovery at the historical Vaalhoek site, with a maiden high grade open-cut 17g/t gold resource (82% inferred, 18% indicated). 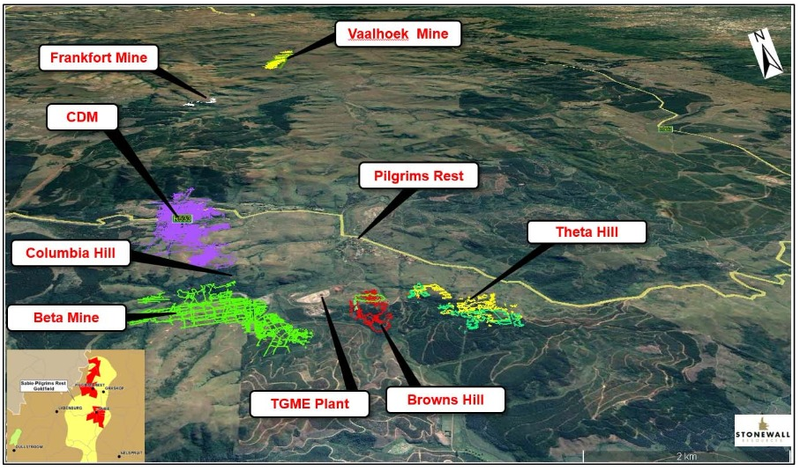 Vaalhoek (below) is SWJ’s third open-cut target after Theta Hill and Columbia Hill, with the resource upgrade forming part of an overall annual JORC review of the region which will be completed by the end of April this year. The previous JORC (2004) resource was an underground prospect, coming in at 1.35Mt at 5.74g/t gold for 248Koz (100% inferred). The updated JORC (2012) underground resource was calculated at 2.68Mt at 5.3g/t gold for 457Koz. 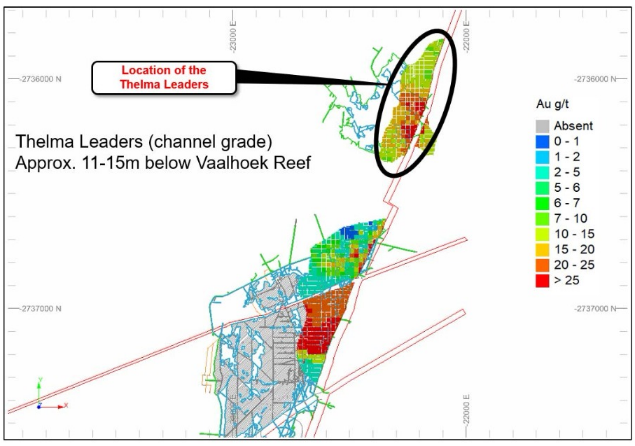 The 2018 upgrade comprised data collection, digitisation, modelling of 3D wireframes and eventual statistical estimation which led to the significant upgrade for the inferred and indicated Mineral Resource at the Vaalhoek Reef. 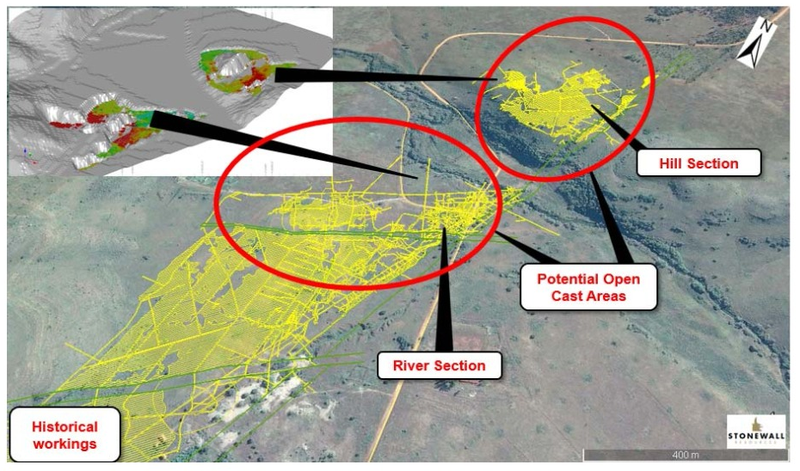 The maiden resource is an integral part of the successful Project Bentley to identify potential high grade open-cut opportunities with near term production potential. SWJ believe these high gold grades could support an open-cut mine at the site, which would reduce overall development costs in comparison to an underground development in the same region. As a result, the company will commence infill drilling which will facilitate an in depth examination of the project from an open-cut perspective. A preliminary mining schedule and scoping study breakdown will then follow. SWJ Managing Director Rob Thomson commented on the highly promising development, “The investment by Stonewall into a complete re-assessment of the geological potential of the tenement area with a recent focus on open-cut targets, continues to uncover excellent opportunities. “This maiden high-grade open-cut resource demonstrates the potential for multiple open cut mines in the area,” he said. SWJ also provided an update on its metallurgical grab samples taken in February 2018. Local residents across farms and the small townships of Pilgrim’s Rest, Sabie and Graskop are largely supportive of mining re-commencing in the area.